How many developer hours are being spent on building the next generation Bitcoin or Ethereum? We attended an event held by Novum Insights, where Rajesh Gopi of Wanchain, Bob McDonall of Cardano, Gilbert Verdian of Quant Network , and Jeremy Miller of Consensys discussed what such a next generation can look like. The core of the discussion centered around (1) blockchain interoperability and (2) scalability. It's a fairly widely held view that we will have many functional blockchains running optimized use case software for their relevant industry, and so moving tokens and messages between these paradigms and doing so reasonably quickly is important. Cardano is focusing on building regulation and standards into the architecture itself, and has been rewarded with a $5 billion market cap for its token despite not yet having launched a public product. Wanchain is a finance-focused inter-chain layer that has privacy as a feature. And Quant Network is working on Overledger, an infrastructure for cross-chain smart contracts. Of course, there are others in this space -- from Aion, to Cosmos to Polkadot. 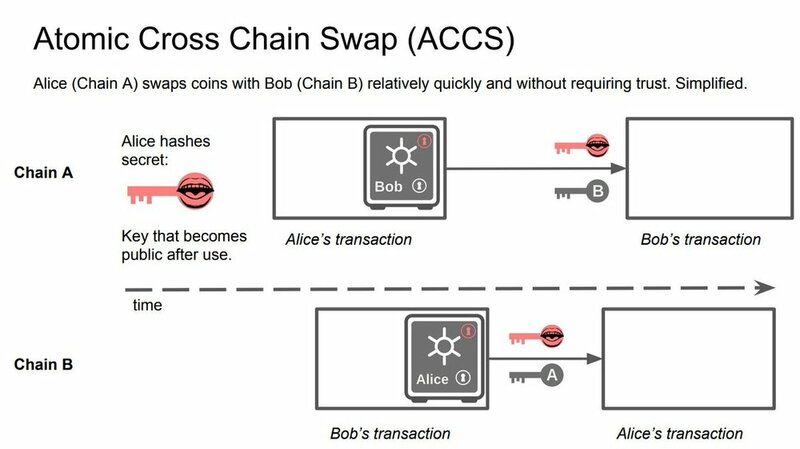 This brings us back to the concept of decentralized exchanges, and the idea of atomic swaps, which would allow tokens to move across chains. Consensys believes that these are all solvable challenges, and that the Ethereum community is well beyond the white board stage in building these features -- implying we don't need any new blockchains to do these things, because the largest smart contracts platform in the world will have them soon enough. We could go even further into science fiction to say that next generation blockchains will instead be Decentralized Acrylic Graphs, like IOTA's Tangle (a controversial history) or the HashGraph (just raised $18 million), or something like the block-lattice from Raiblocks. For these to be successful, not only does the underlying technology have to work in a general sense, but there must be network adoption by both users and developers. We're certainly not there yet. Or we could down to Earth, closer to centralization, tech incumbents and sovereigns. For example, Google is looking at leveraging its cloud for a proprietary blockchain, Nobel-winner Myron Scholes (of Black-Sholes) is working on a version of a stable coin resembling the central bank logic of adjusting token supply based on economic activity, and JP Morgan is exploring spinning out its enterprise blockchain, Quorum. Quorum was built for financial services (and integrated into Ethereum) with an eye towards the ability to know your trading counterparty and avoid AML issues. This makes it one of several potential options that have come out of enterprise blockchain efforts and industry consortia -- from Digital Asset's solution for ASX, to IBM Fabric deployed out of Hyperledger, to R3's Corda. While Quorum is custom tailored to financial companies, competitors have been slow to adopt it because it is owned JPM. Generally speaking, blockchains are meant to be open-sourced code shared by a community, and proprietary solutions built to take economic rents are very unlikely to be adopted. Thus building out a patent library for blockchain IP (hey there, BofA) seems like the wrong direction of travel. So that clears it all up, right? Just holding Bitcoin while this fight takes over the next decade seems like a reasonable idea.